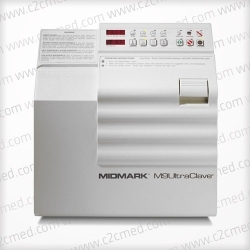 Sterilization is easy with the Midmark M9 Automatic Sterilizer. A few simple steps complete the process. Just press the start/standby button. 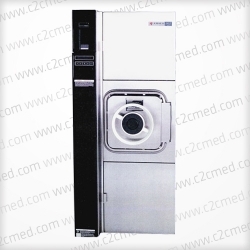 Sterilization is easy with the Midmark M9 Automatic Sterilizer. A few simple steps complete the process. Just press the start/standby button. The M9 automatically fills with the correct amount of water. Select the cycle and the time is set. Cycle time, start to finish, with unwrapped instruments is 22 minutes cold, 12 minutes hot. 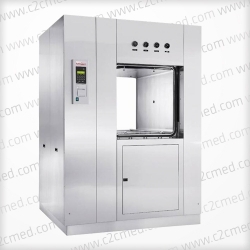 Once the sterilization is complete, the M9’s door opens automatically to dissipate steam and dry instruments, insuring lasting sterility. 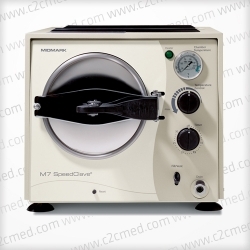 The M9 sterilizes liquids, too – without boiling over. The M9 is so automatic the operator can load it, push a button, and forget it. They’ll have dry, sterile instruments every time.A safety switch prevents the unit from operating if the door is not fully closed. The M9’s low water indicating light tells the operator when the reservoir level is too low. A door-ajar light tells them if the door is not securely closed. 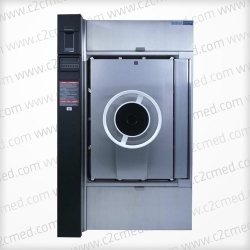 In both cases, sterilization can’t continue until the unit has been attended to. LED Display shows the unit’s temperature during heat-up and the time remaining during cycles. The cycle stage indicator lights turn on.